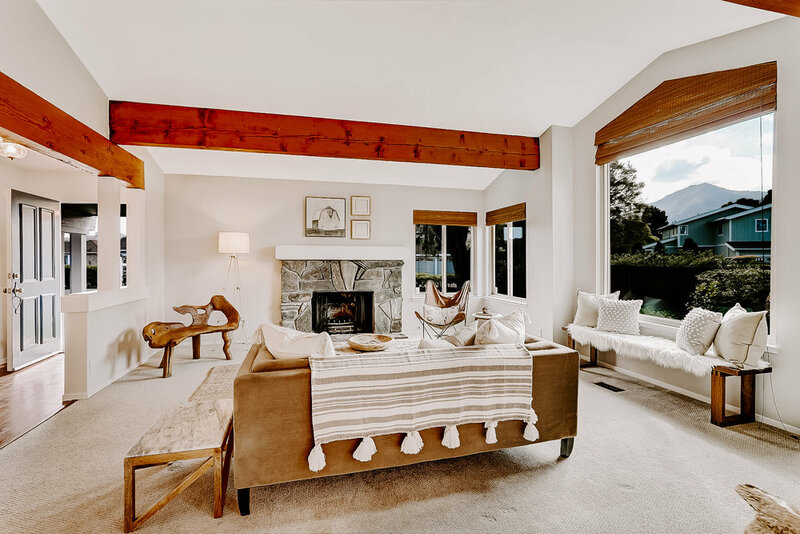 Located in the heart of the coveted flats of Larkspur, 639 Riviera Circle is a three bedroom, two bathroom single level home that enjoys all day sun on a large, beautifully landscaped 8,002+- square foot lot which provides huge expansion potential (check with city)! 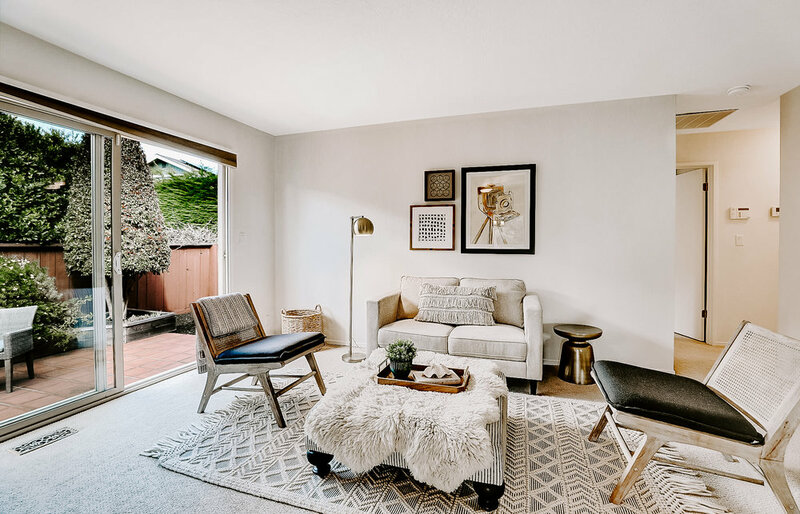 Only blocks away from amazing public schools and a short stroll to Larkspur’s vibrant downtown with boutiques, restaurants and cafes, it’s hard not to fall in love with the lifestyle at 639 Riviera Circle. 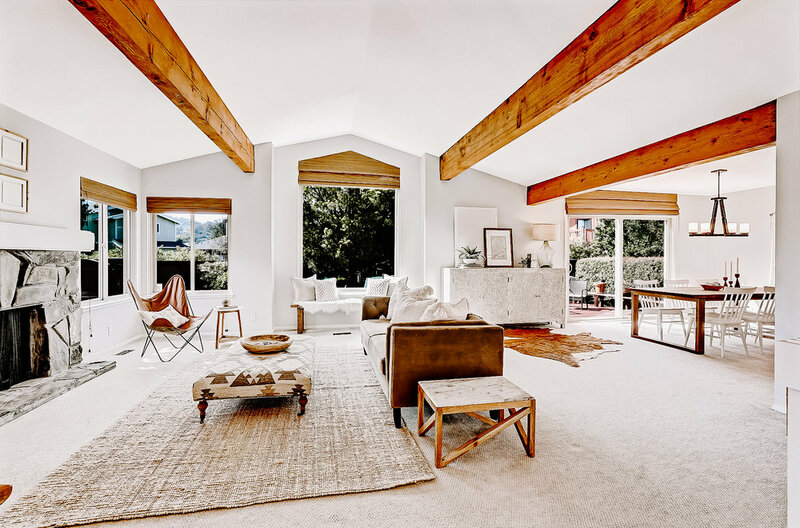 Bathed in natural light with high ceilings and breathtaking views of Mt. 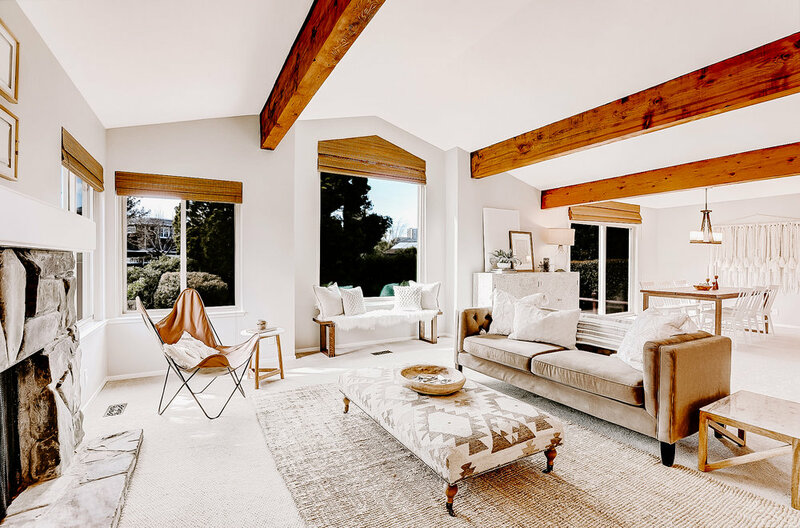 Tamalpais in the great room, the feeling of warmth and comfort is felt throughout. The open-concept living space is the perfect hangout with a stone surround fireplace to your left and a dining area fit for a large dining table to your right. The gourmet kitchen features new appliances and countertop seating. 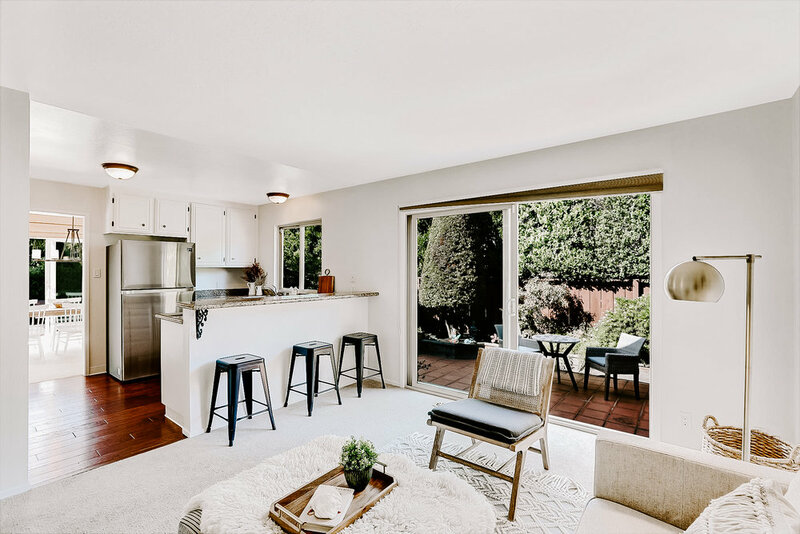 Adjacent to the kitchen is a spacious second family room that leads to a sunny, private back patio perfect for barbecues and sipping morning coffee. 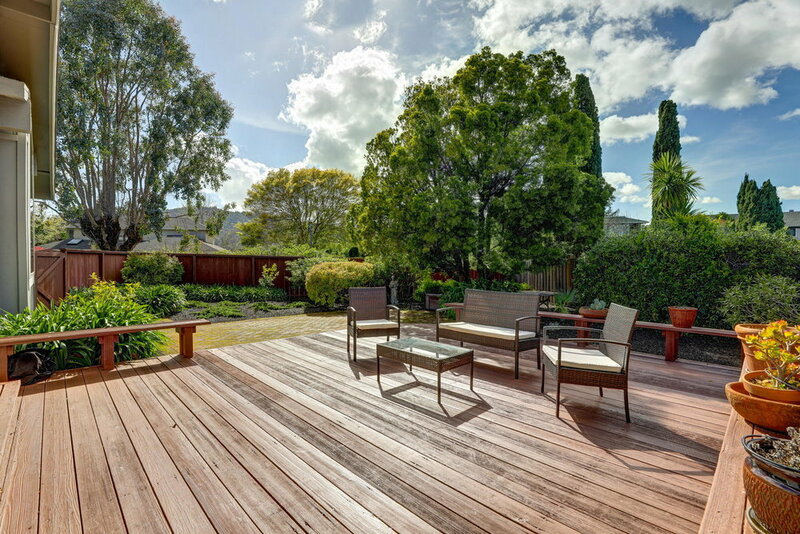 The main living area opens to a large back deck and level yard making it the perfect place entertaining friends and family in Marin’s ideal Mediterranean climate. 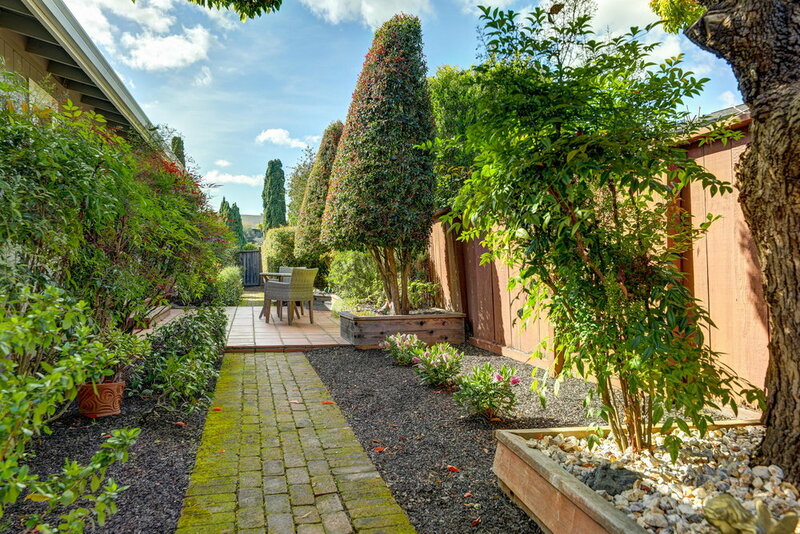 This amazing outdoor area has a beautifully landscaped garden with ample privacy and year round sun. 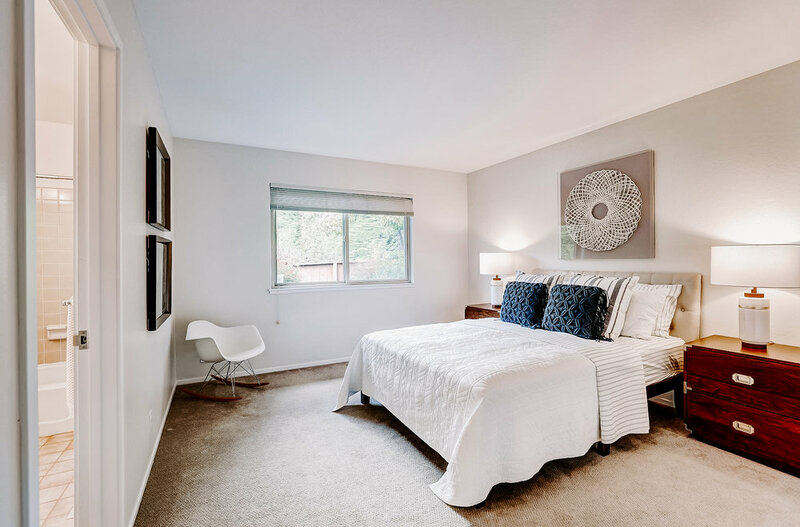 The spacious, bright master suite comfortably fits a king bed and the beautiful master bath has dual sinks. The second and third bedrooms are the perfect size for kids, teens and guests alike. 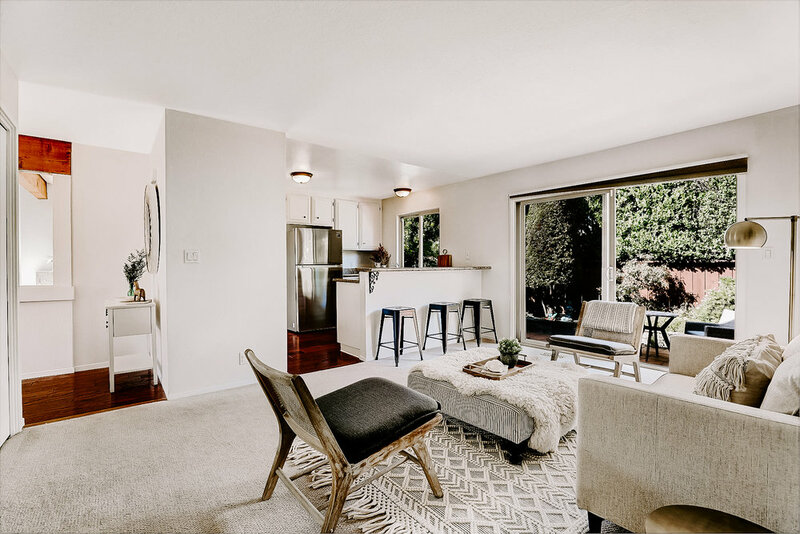 Owners enjoy pulling into their 2-car attached garage which also provides ample storage in addition to the multiple oversized storage spaces found throughout the home. The location of 639 Riviera cannot be beat. 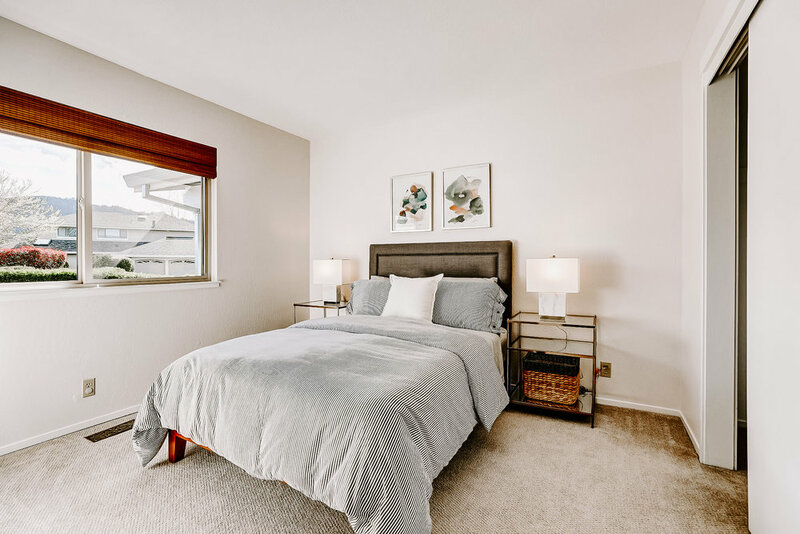 The home is steps from Redwood High School and enjoys close proximity to shopping, restaurants, public transportation, bike paths, parks, schools, movie theaters and so much more. 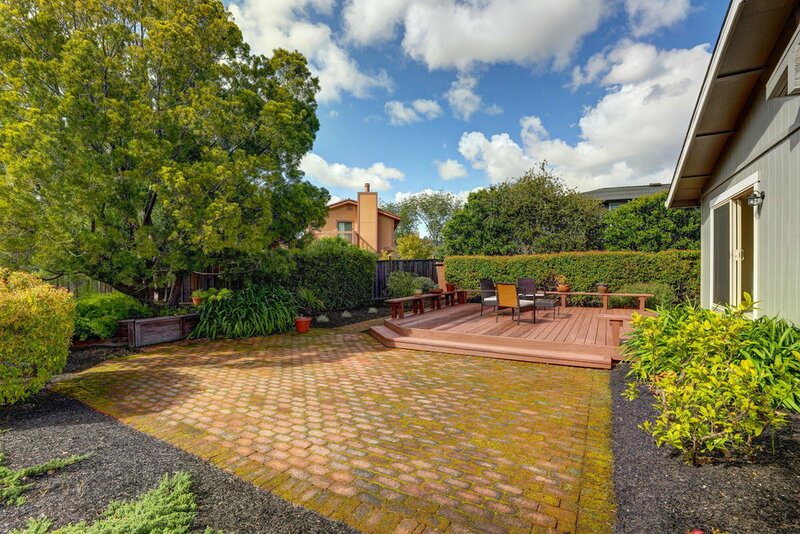 There is easy freeway access and the home sits within a perfect commute location to San Francisco and the East Bay. Downtown Larkspur is a short stroll away and in the other direction is Rustic Bakery, R’Noh Thai, M & G Burgers, Woodlands Market, Woodlands Café and the new Marin favorite hotspot restaurant, Guesthouse Wood Fire Grill. The Larkspur Marina was developed in the 1960’s along the Corte Madera Creek and is one of the most sought-after neighborhoods in Larkspur. 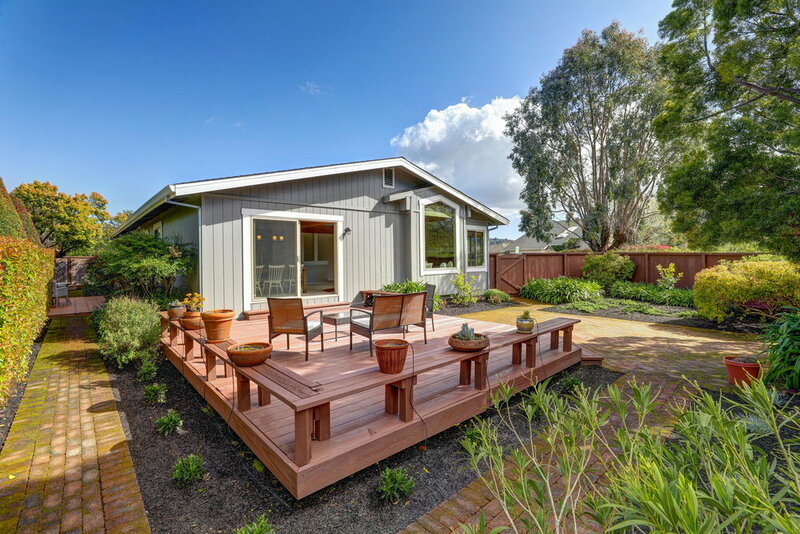 Gorgeous views of Mount Tamalpais surround the community that miraculously parts way for sunshine on these private, family-friendly streets. Boasting close proximity to downtown Larkspur's vibrant dining and boutique shopping scene, locals enjoy walking a few short blocks to Perry's, Equator Coffee, Pizzeria Picco, Emporio Rulli, Posie, the Left Bank Brasserie, Haven, Nicolette, Gala 44 and many more of Larkspur's town favorites.